For the region, see Japan (region). For the first half of the EU4 time period, Japan experienced the Sengoku Jidai, or the Japanese Warring States Period. The weak Ashikaga Shogunate proved unable to prevent incessant war between de facto independent regional lords, or daimyo. The game represents this strife by dividing up Japan into a small central state and a large number of separate realms, and with Japan's nemesis Korea just across the sea, the rebellious vassals need to be dealt with before Japan finally seeks to fully dominate the Nippon trade node. The empire of Japan is not represented as a single country at the start of the game. Instead, it is divided into the emperor (the Tenno, or more commonly the Mikado), the ruling shogunate - Ashikaga in 1444 - and many daimyos. The emperor resides in Kyoto and does not actively engage in any sort of affair of the country. But all official appointments and representations are performed by the emperor. That is why we never directly see the emperor in the game. The shogun is also appointed by the emperor. It represents the will of the emperor and rules Japan in his own methods, as the "emperor's tent government" - the "bakufu". That is why only the shogunate is allowed to declare wars and perform diplomacy with outside powers. Daimyos are special vassals that do not occupy a relation's slot. They may ally, rival, and fight other daimyos, but not external countries. Daimyos may also declare a "War for the Emperor" against the shogun. A daimyo who controls Kyoto, the capital where the emperor resides, becomes the new shogun, and all other former vassals (daimyos or outside vassals, but not "grand daimyos") of the old shogun become his. The shogun, meanwhile, may diplomatically annex daimyos like any other vassal, and also gets the casus belli of "Annex Daimyo" against any daimyo owning 10 or more provinces. The shogun gets +0.1 per year and -2% stability cost for each daimyo at peace, as well as +0.1 prestige for each daimyo that has the same level of Shinto isolationism. These all cap at 10 times the given bonus, for 10 daimyo at peace. All daimyos existing in 1444 have unique national ideas. Some daimyos that only exist in later starts use the generic Daimyo group set, listed at right. Daimyos that become independent, even temporarily, get the Independent Daimyo government. This has weaker bonuses than the regular Daimyo government, but allows raising government rank past duke-tier. If the shogun vassalizes a country outside Japan, it functions as an additional daimyo, but does not get the special Daimyo government. If Kyoto is captured by an outside power, the shogunate disbands and all remaining daimyo become permanently independent. A country that has become independent from the shogun due to various reasons will have the government "Grand daimyo". It is just a regular monarchy that can form outside diplomacy and does not interact with internal affairs between the daimyos. Daimyos cannot perform diplomacy with a grand daimyo, as it is an "outside" power. We may also say this is a reversed case from the above paragraph. The shogun has several special abilities useful for managing unruly daimyo. There are three actions available through the government tab that give a bonus to the shogun and a penalty to all daimyo. Each costs 20 legitimacy and provides a modifier lasting 10 years. Multiple actions may be used at once. +250 manpower and +0.5 land force limit, per daimyo, for the shogun. –1000 maximum manpower and –2 force limit for daimyo. +3 diplomatic reputation for the shogun. –1 diplomatic relations for the daimyo. –5 liberty desire for all daimyo. In addition, the shogun has several subject interactions usable on daimyo. All of these interactions require the daimyo's liberty desire to be below 50%. The daimyo's isolationism becomes one step closer to that of the shogun's. +25% liberty desire. Transfer the daimyo's best general (other than a ruler or heir) to the shogun. +30% liberty desire. Order the daimyo's leader to commit suicide. Only available on daimyo that have started a war. The daimyo's successor will be less likely to be a warmonger. The shogun gets 5 monarch point per skill of the daimyo's new ruler. +15% liberty desire. The daimyo loses 2 development in its most developed province, and the shogunate gains 1 development in its capital. +25% liberty desire. Japan's missions include uniting the archipelago, colonizing Taiwan and expanding into Korea and the Chinese mainland. Japan and its Daimyo have many historical events. These include events like Nanban Boeki (meeting and trading with the Western Nations, mainly the Portuguese and Spanish), the establishment of the Terakoya schools and the funding of wako (wokou) raiders. These can be funded for a monetary bonus and a relationship penalty with Korea and Ming, or suppressed, for a relationship bonus with Korea and Ming. There are three decisions that switch the player's country to a united Japan. The first is available for a shogun that has at least 25 provinces, representing more than half of the Japanese region or else substantial conquests outside it. The decision releases all remaining daimyo, turning both them and the shogunate into feudal monarchies. The remaining former daimyo may then be attacked directly, without having to wait for relations to improve enough to diplomatically annex them. The second decision is only available to a shogun that has united Japan without taking the first decision, and gives substantial monarch points as a reward for taking the longer and more peaceful path. The last decision is for a daimyo that is the only Japanese country remaining after the shogunate has been abolished. It may also be taken by any country with Japanese culture even if not a daimyo, such as Ryukyu or a player country that has shifted culture. This is a list of daimyo that appear in the game. Not all daimyo appear in the start year 1444; the starting years are based on the year they are in control of the capital province, and their cores are usually added earlier and can be released at an earlier date. Have a good strategy for Japan? Japan offers unique features for some alternative starting dates, which each offers a different experience. 27th May, 1467 - Historic start of the Onin War and Sengoku Jidai. Ouchi, Yamana and Shiba have just begun the war against Hosokawa, Hatakeyama and Takeda in the "Onin War" (the actual in-game name of the war). 21st June, 1582 - Oda Nobunaga has just died and Hideyoshi Toyotomi becomes the Shogun. Historically, it was the "Honnō-ji incident". 10th August, 1590 - Tokugawa moved to Musashi, which is now Tokyo. 25th May, 1592 - The beginning of "Imjin War". Oda Shogunate is at war with Korea and has some provinces occupied. 21st October, 1600 - Tokugawa controls Kyoto. Historically the end of the Battle of Sekigahara. But the in-game configuration is bugged. Tokugawa is still a Daimyo under Oda despite controlling Kyoto. The in-game text says "norulertitle" for both of them. Historically, Tokugawa should have obtained control over all Japan, just that the government had not been fully established. 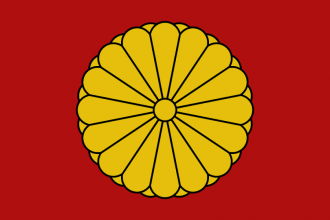 24th March, 1603 - Tokugawa has established into the Shogunate. The historical start of the "Edo Period". This page was last edited on 13 January 2019, at 11:46.